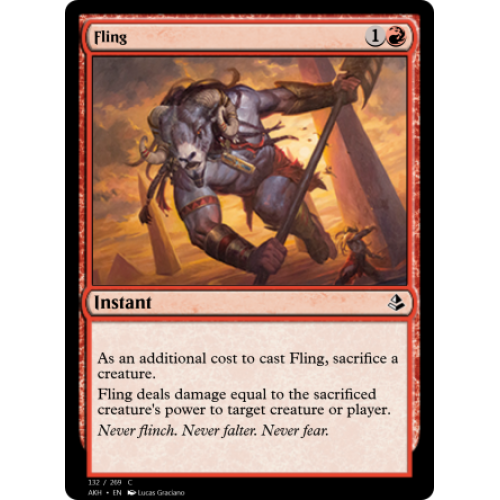 Fling deals damage equal to the sacrificed creature's power to any target. 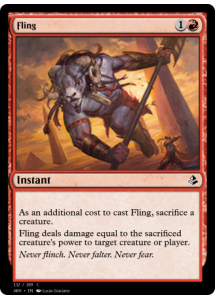 Never flinch. Never falter. Never fear.